This is Post #6 of the 2018 Home Trend to Watch Series. View the fifth one: Metallics. 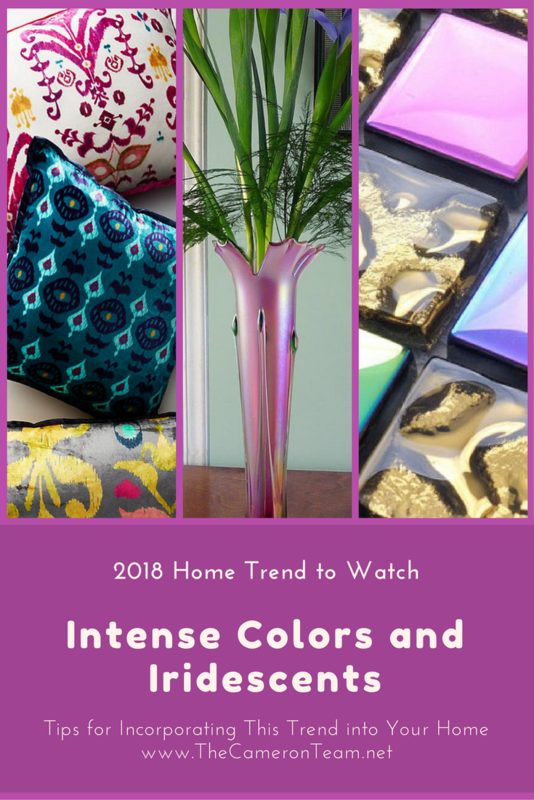 We decided to combine the last two 2018 home trends predicted by Pantone – iridescents and intense colors – because they have a lot in common. Both are trends that people in the western world are likely to shy away from. 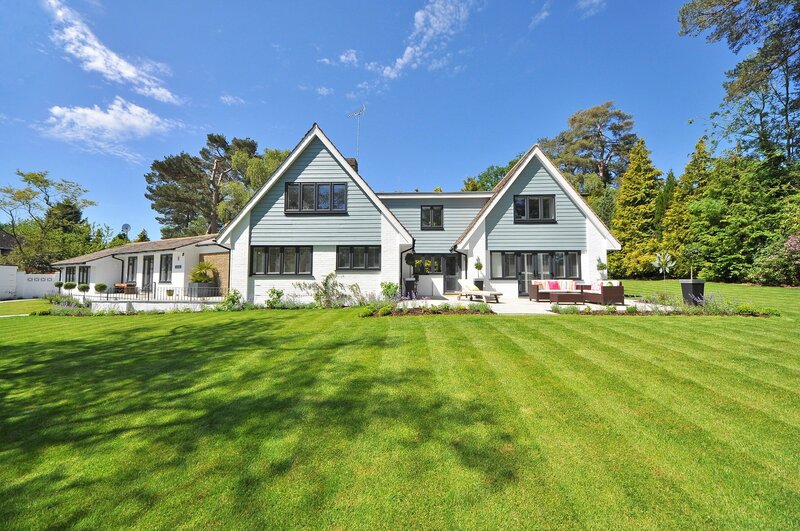 The average homeowner tends to gravitate toward neutral colors or hues inspired nature. Iridescents and intense colors are outside that realm, sometimes bordering on sci-fi. 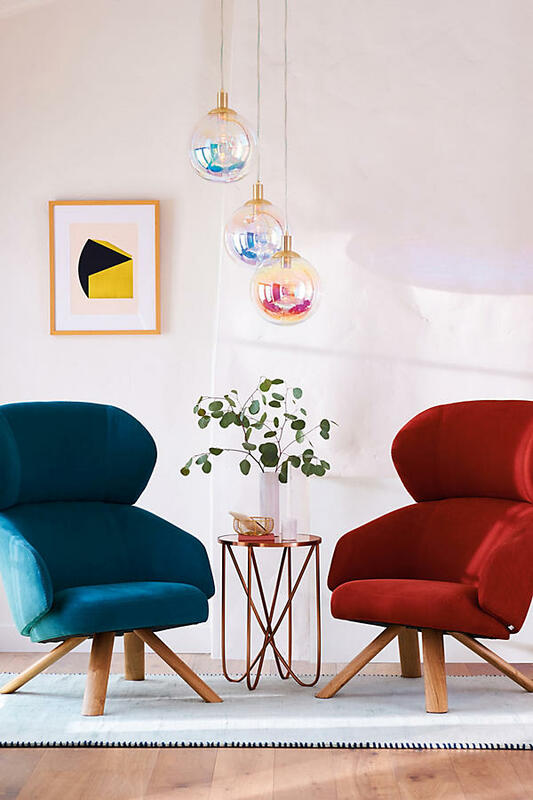 But if you’re someone who likes to go bold with home décor (or are looking for ways to add a pop of color), here are some fun approaches to consider. Price is one reason why you won’t see iridescent furniture in homes very often. 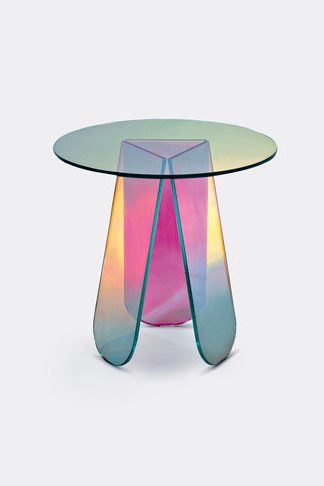 Truly iridescent furniture is expensive. This table designed by Patricia Urquiola is beautiful, but it costs over $2,000 and many others that you see like this are custom-ordered works of art. If you’re looking for rare focal pieces for your home, these are one route to take. 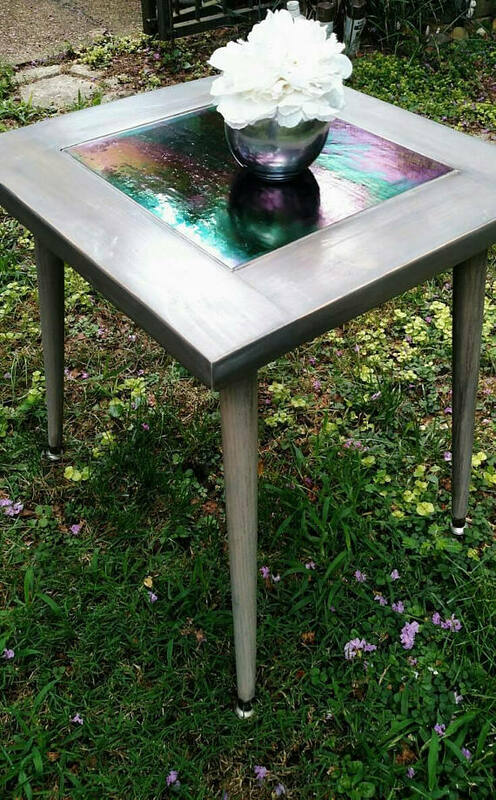 There are pieces with iridescent accents that are beautiful and less expensive. This side table from Trays and Tables is made from distressed gray barn wood. The center is an iridescent blue and purple glass. Iridescent paint is also an option for furniture. 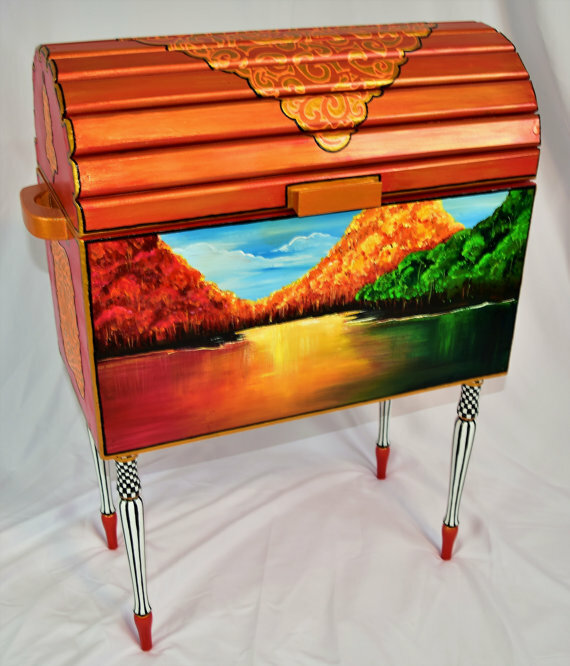 This hand painted iridescent orange trunk has a beautiful mural of a lake in autumn painted on the side. It fits both of this post’s trends – iridescents and intense colors. Another way to include iridescents in furniture design is with iridescent knobs. These are great if you already have a dresser or cabinet in use that you want to update. They add a touch of color and shine but aren’t garrish. 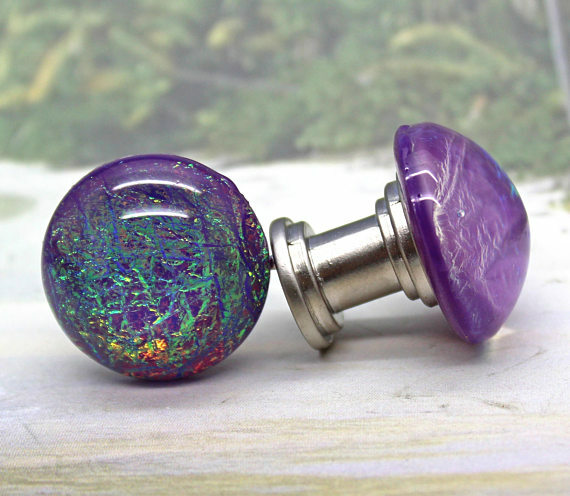 The purple-blue iridescent knobs below are from Knucklehead Knobs. 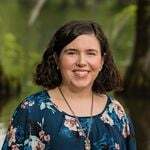 Want to start out small? Accent pieces are the way to go. Pillows are always good for incorporating trending colors and styles because they’re so interchangeable. 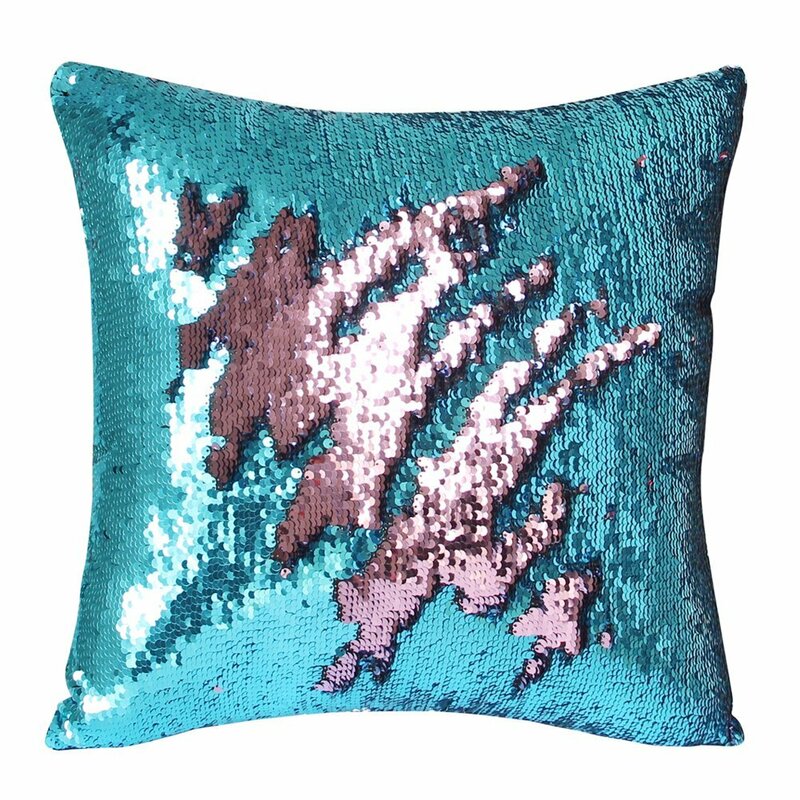 We love these mermaid pillows that are meant to mimic the iridescent scales of a mermaid’s tale. When you run your hand over the fabric, the attached sequins flip to reveal a totally different color. While iridescent finishes are usually considered quite bold, they don’t have to be flashy. 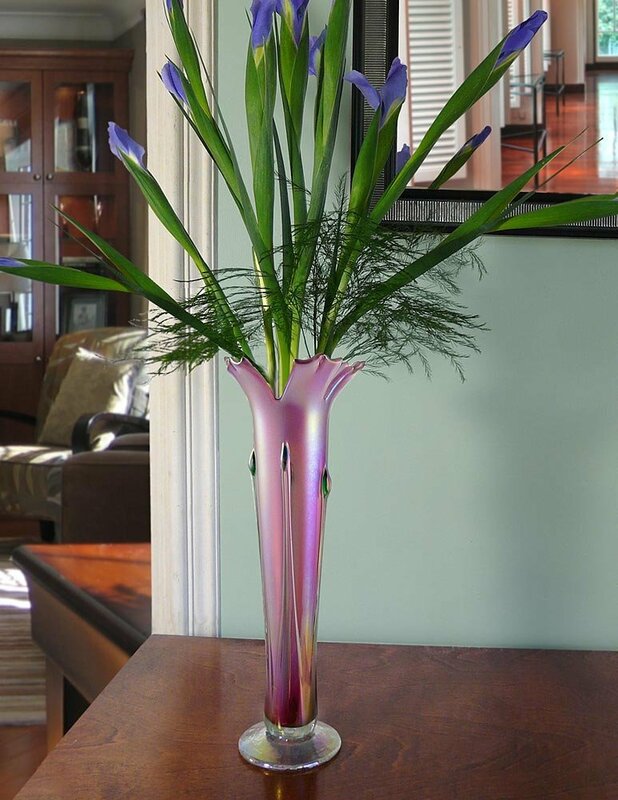 This hand blown glass vase from Modern Artisans is an iridescent pink blush, but it’s elegant and has a matte sheen. Another fun way to incorporate iridescents in your home is with dining and kitchenware. 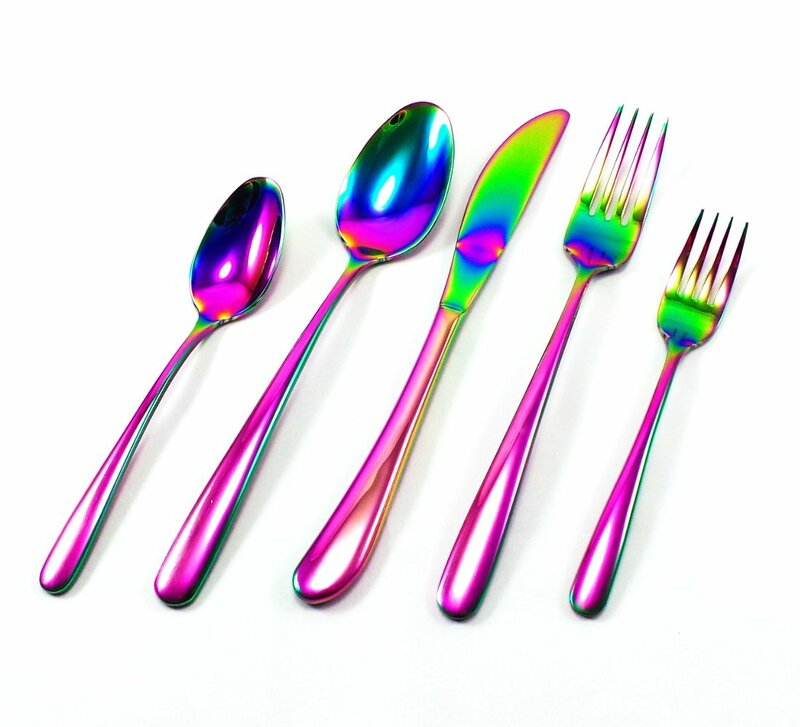 For example, this iridescent flatware is made of stainless steel and reflects a rainbow of colors. 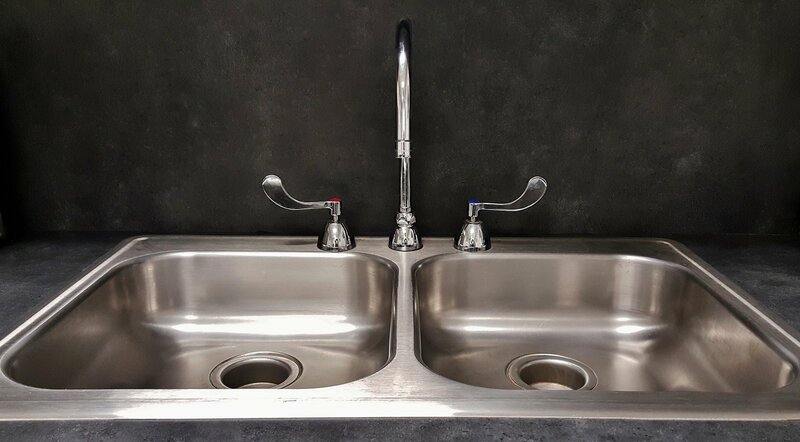 The unique finish is also available in kitchen knives, serving utensils, barware, and mugs. They’re sure to leave an impression on your guests. One of the more common ways of incorporating iridescents into your home is through glass tile. It comes in a rainbow of collections, so there’s plenty of “families” to choose from depending on your color palette. 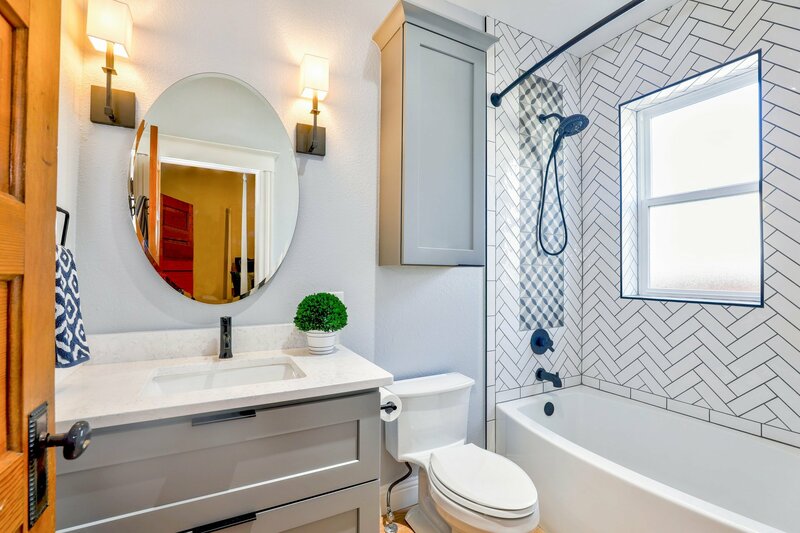 Each tile block has a variety of colors in it so it’s best used as an accent strip or in a small section, like a backsplash or accent wall, rather than as a full coverage option. This colorful tile featuring bright pastels and gold accents is from Bravotti. 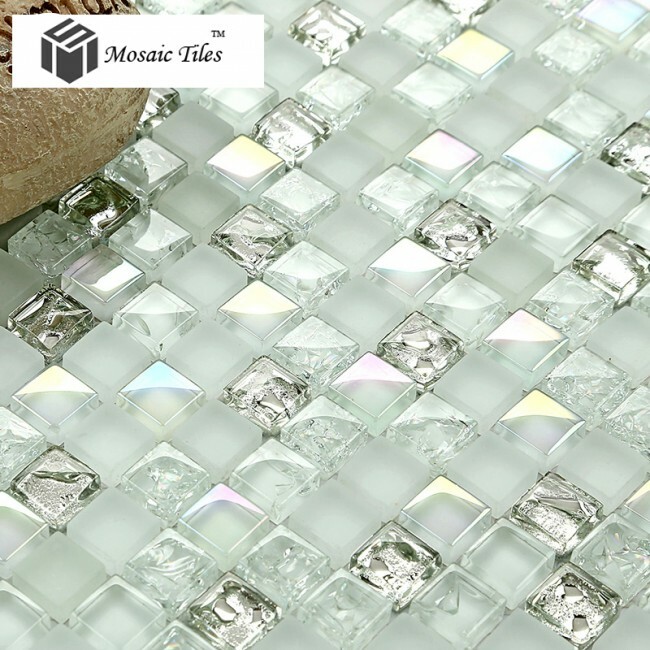 If the tile is mainly white or black iridescent, like this one from Mosaic Tiles, it may be possible to use it as a full coverage option. 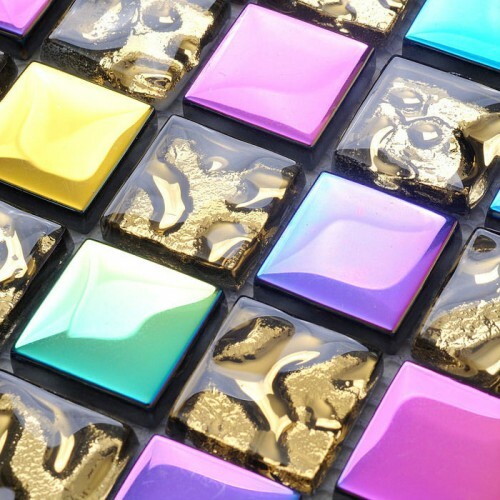 Square is the most common shape for iridescent tile. 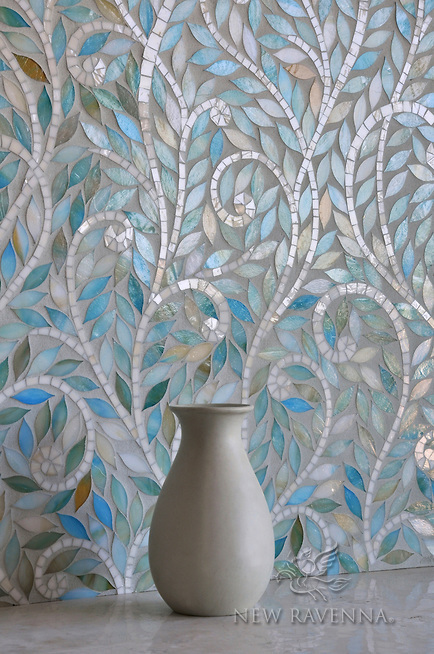 However, we are in love with this Climbing Vine tile from New Ravenna. 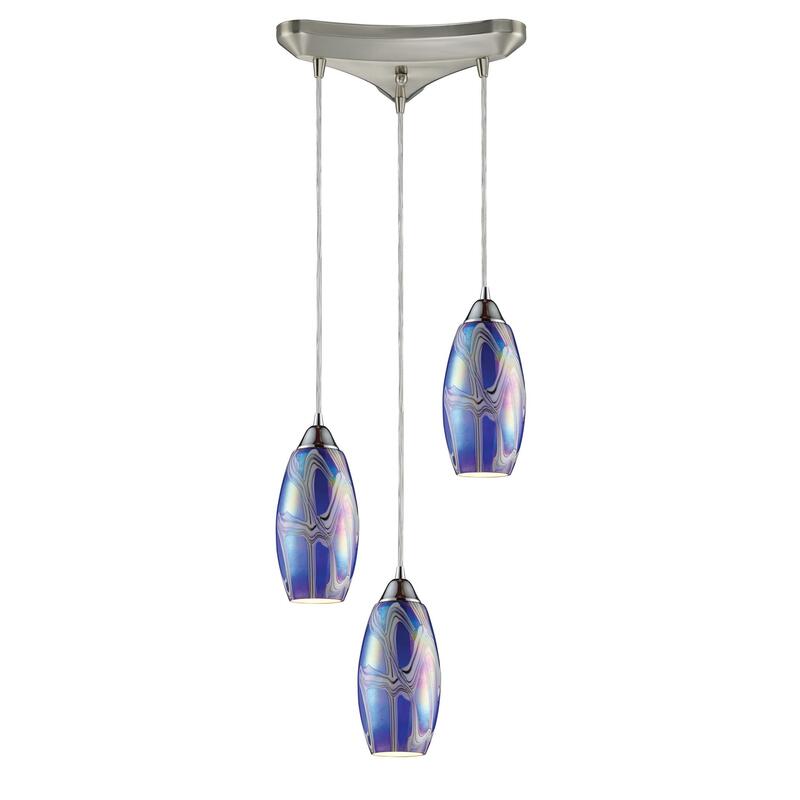 Iridescent glass is also commonly used in light fixtures. There are bold options like these storm blue glass pendant lights from Elk Lighting. Whimsical options like these bubble pendants from Anthropologie. 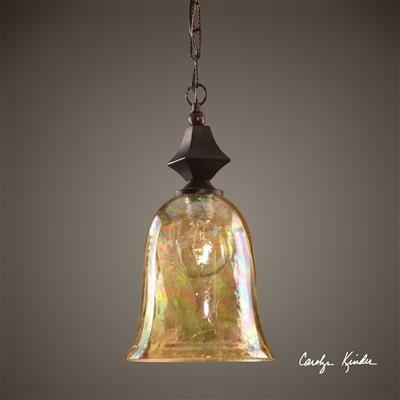 Or more timeless options like this mini spice colored pendant light from Uttermost. Furniture colors have remained primarily subdued in the past few years; however, Pantone predicts that those colors will become more vibrant to match the intense fast-paced lifestyle that many Americans are living today. We’re already seeing this design trend popping up in modern sofas, like this sectional from Divano Roma Furniture. 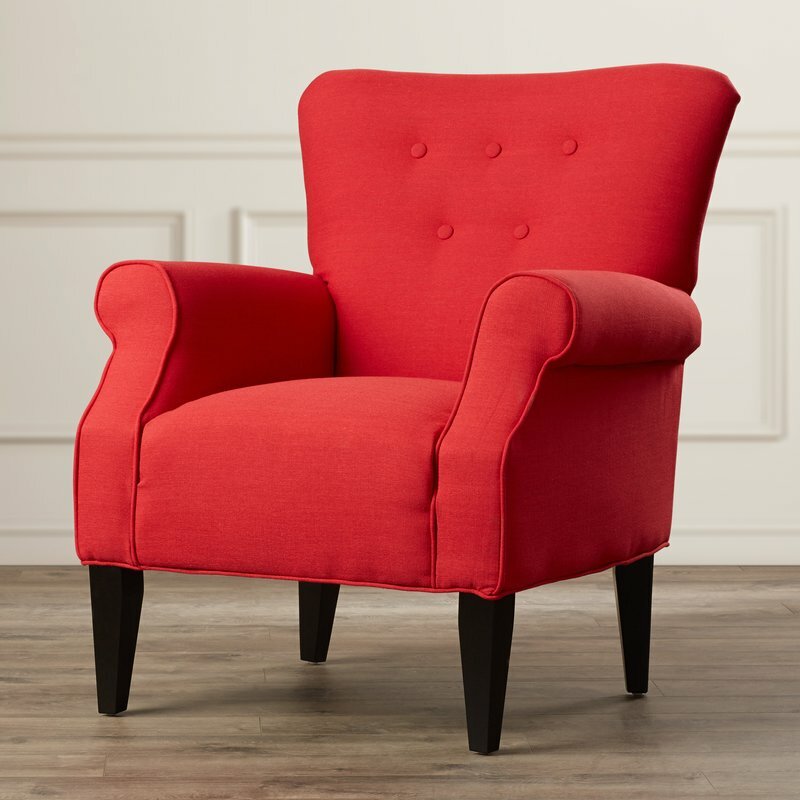 Accent chairs are also a great way to add a pop of color to a room. Solid colors and bold prints work. Take for instance this Lyssandra tufted arm chair in Lipstick Red. The great thing about the intense colors trend is that it’s easy to incorporate with furniture, especially existing furniture. All it takes is a can of paint. This mid-century modern dresser was given new life by Tracy’s Fancy. 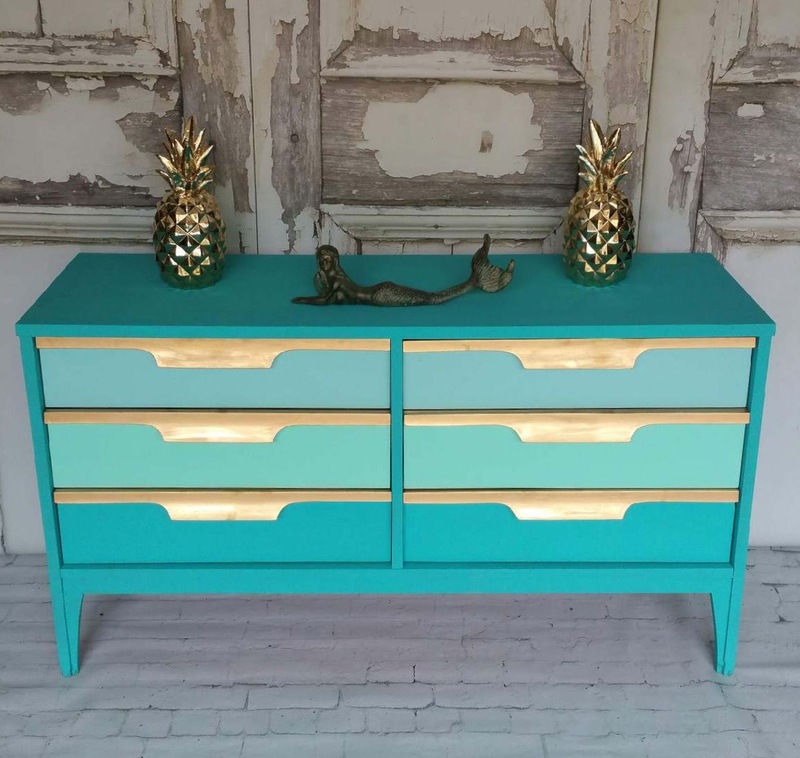 She gave it a beautiful teal color and updated the pulls with gold metallic paint. If you’ve been following this series, you know this satisfies not one, but two 2018 home trends. If you’re an IKEA fan, here’s a good example for you. Anika’s DIY Life created this beautiful floor cabinet with an IKEA Ivar Cabinet (a plain pine cabinet that’s usually hung). 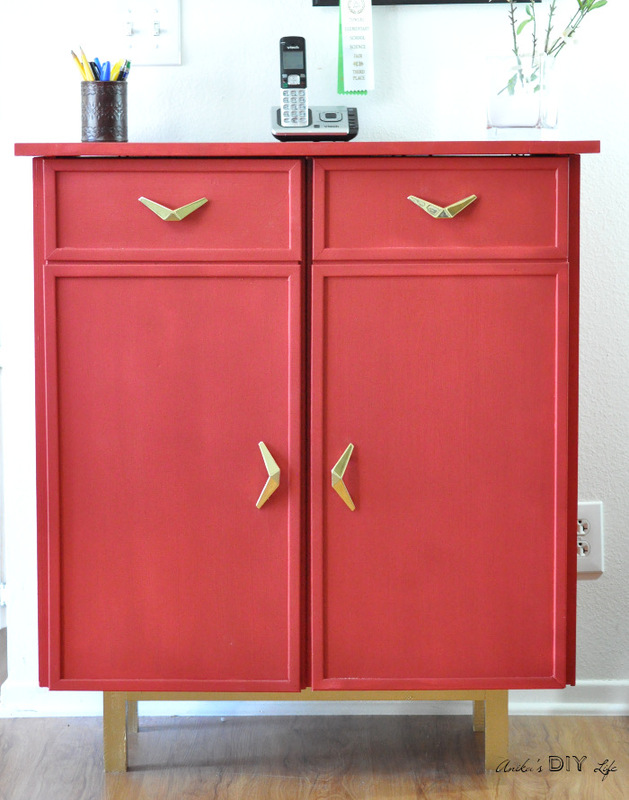 She added feet, used a bright red paint, and added gold cabinet pulls (Oh, look! More metallic.). Want to see how one expert designer used intense colors? Check out this Florida beachfront residence from John David Edison Interior Design Inc. They did not shy away from color and used bold hues throughout the home. One of our favorite methods for including bold colors in home décor is through art. This is a good opportunity to support one of your local artists. If you don’t know anyone local, Etsy has a large community of artists. 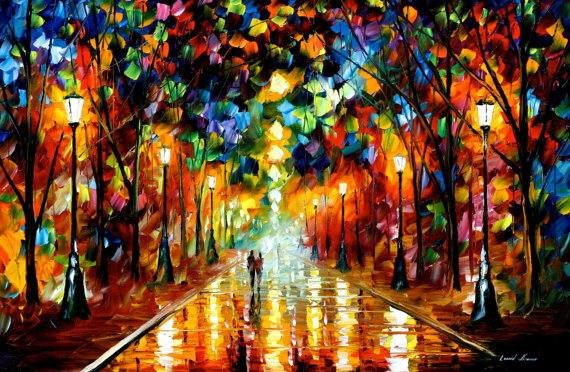 One of our favorites is Leonid Afremov. He paints in beautiful bold colors. 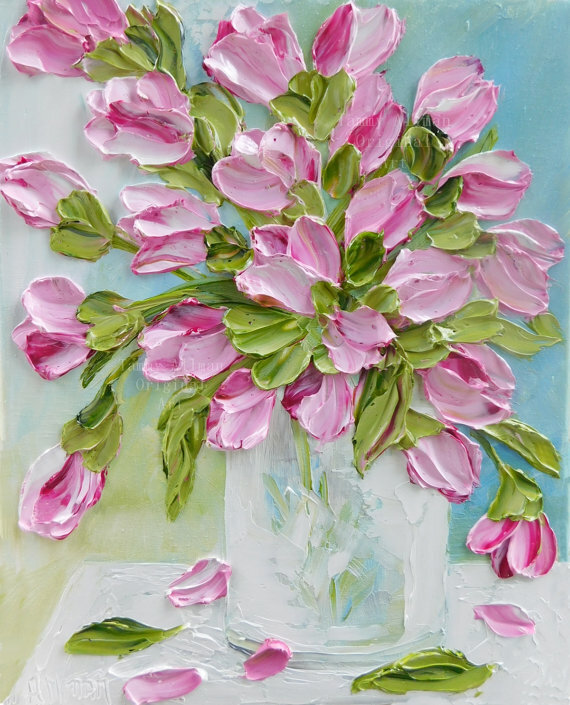 Lana Guise also does a beautiful job with bold colors in her palette knife paintings. They have nice texture and are made to order. As we mentioned above, pillows are a great way to incorporate trends. Add a pop of color by updating your living room throw pillows. 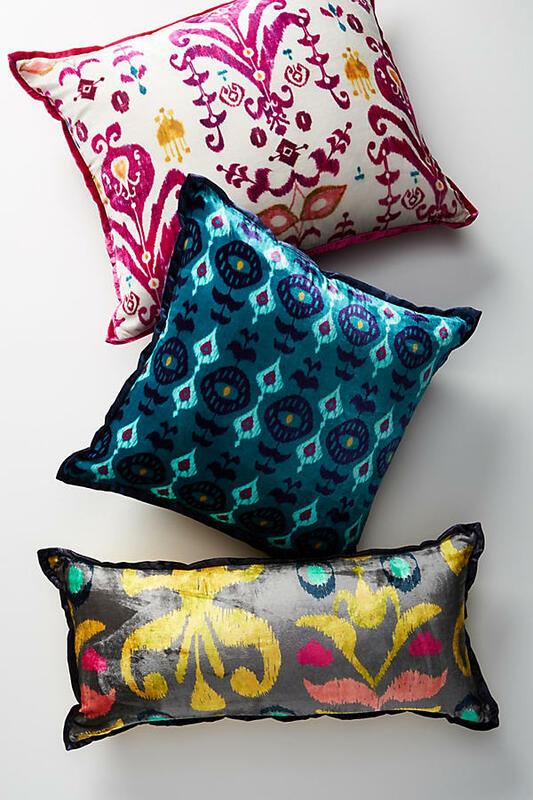 These velvet pillows from Anthropologie are boldly colored and have fun prints. 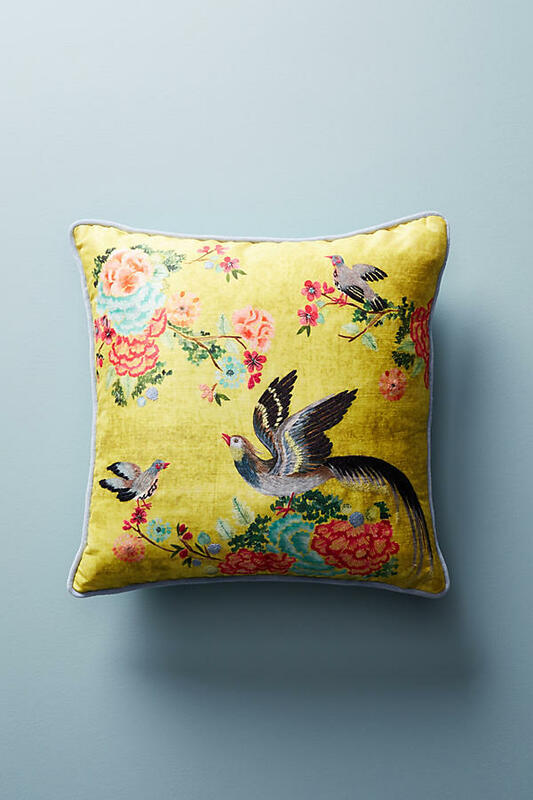 This bird pillow is also a great option due to the bright yellow background and bright red flowers. Of course, you can always decorate your shelves with brightly colored vases, pottery, glassware, etc. 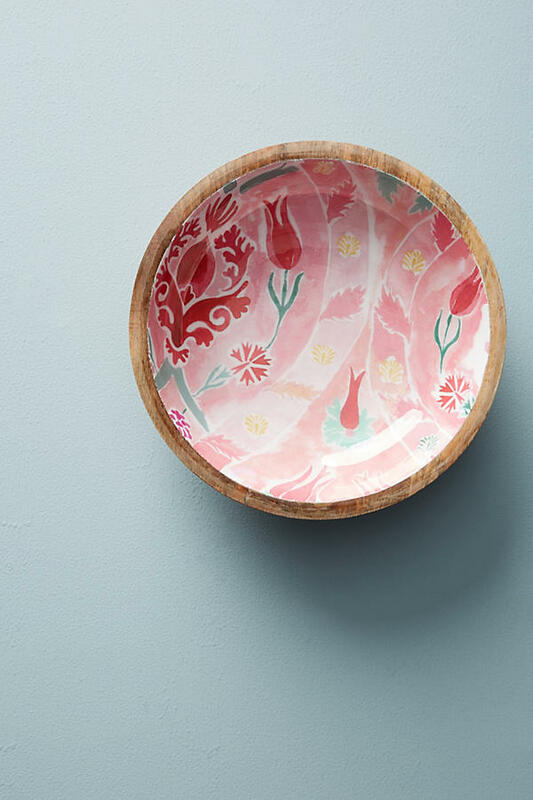 This Hartwood Bowl is not only brightly colored, but it’s also made of wood, which means it fits in with another 2018 trend – wood accents. Like we said before, paint is an easy way to incorporate bold colors into your home décor. However, it’s important when you’re painting on a large scale that you seriously consider the effect the color will have on your mood. Intense colors can be fun to use, but they can be too vibrant for a whole room. You may want to consider just using them for an accent wall or stencil. Try before you buy. Most paint stores have sample containers now and paying a few bucks for them is worth the money you will save if you decide the color isn’t what you want. Iridescents and intense colors are a fun way to liven up your home décor, but it’s important to use them sparingly or your home may start to look like a carnival. A good course of action is to choose one or two pieces to be the focal points of the room. 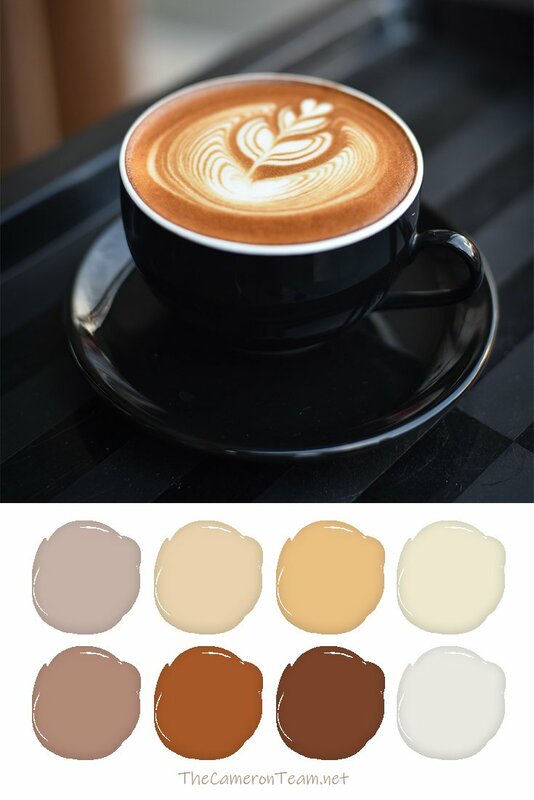 If you’re using accent pieces, make sure there are neutral features to help off-set their color. Balance is key to making them work. Have you seen intense colors or iridescents used tastefully in home decorating? Share a link in the comments!